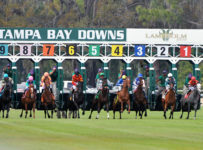 Tampa Bay Downs on Tuesday will announce entries and post positions for this Friday and Saturday when it will hold its annual two days of summer racing. 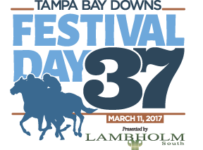 First post will be approximately 12:35 p.m. each day for the Tampa Bay Downs Summer Festival of Racing and Music. This year, for the first time in the five year-history of the event, Tampa Bay Downs will have a concert following the races with the music starting around 6:00 p.m. or shortly after that. Starting Wednesday, we will have preview stories that will include details on the concerts. On Friday and Saturday, we will have coverage of the races.